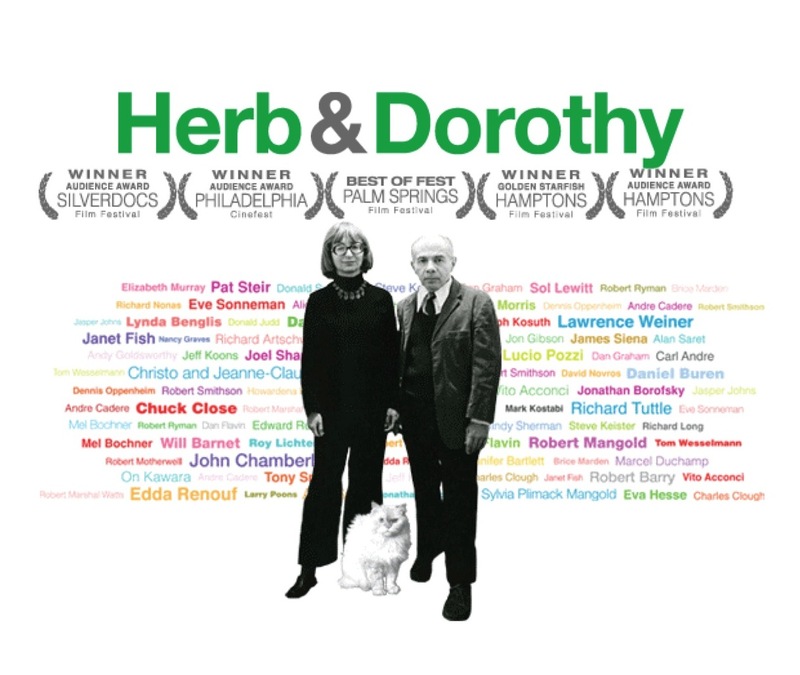 I he[art] Herb & Dorothy Vogel. Herbert and Dorothy Vogel like the most unlikable art. They own a few inches of frayed rope with a nail through it. A curved lead pipe. A black cardboard square with definition of the word “nothing” printed on it, in white. Artworks, by Sol Lewitt, Christo and Jeanne-Claude, Richard Tuttle, Chuck Close and Lawrence Weiner are part of the more than 4,000 works that Dorothy, a 73-year-old retired librarian, and her husband Herb, a 85-year-old retired postal clerk, have collected with the most modest of means. In the early 1960s, Herb and Dorothy quietly began purchasing Minimalist and Conceptual Art from undiscovered artists, for very little money. Devoting all of Herb’s salary to buy art they liked, and living on Dorothy’s paycheck alone, they continued collecting artworks guided by two rules: the piece had to affordable, and it had to be small enough to fit in their one-bedroom Manhattan apartment. Within these limitations, they proved themselves curatorial visionaries creating one of the most important avant garde art collections the artworld has ever seen. After thirty years of obsessive collecting and buying, the Vogel’s managed to fill every square inch of their tiny Manhattan apartment with art. In the early nineties, the Vogel’s gifted their entire collection to the National Gallery of Art in Washington, DC. On the premise that the NGA does not deaccession their collection (selling their collection off to buy better art). The Vogel’s story reminds the viewer, that art is accessible to all. And that, it is not limited to the elite few, such as Rockerfeller or Saatchi. Rather, to collect art, you do not have to follow trends or others advice, just listen to your own voice, your instincts. This is a radical message in today’s money driven art market, where art is another high-end commodity, meaning the artwork’s investment value takes precedence over its artistic value. Megumi Sasaki’s documentary is a touching story about the Vogel’s love affair with art.